The DIHK is coordinating the worldwide network of the German Chambers of Commerce (AHKs), Delegations and Representative Offices at 140 locations in 92 countries. The AHKs are representing the German economy abroad, promoting global business relationships through their extensive member network and are supporting companies from their host countries in entering the German market through their global service brand ”DEinternational”. Businesses need Europe, Europe needs business - is a DIHK’s (Association of German Chambers of Commerce and Industry) motto. In order to adequately represent the interests of the German economy at European level, the DIHK has been a member of Eurochambres since the founding in 1958. For the DIHK, Eurochambres is the "European sender" for German economy’s concerns regarding the EU. It is the mouthpiece for the chamber system in Europe, it is a platform for networking in Europe and the EU as well as the roof for joint activities and projects in Europe. The cooperation within Eurochambres is characterized by the heterogeneity of the member associations. The Eurochambres positions thus represent a consensus among the members. As a result, they have a special clout in their communication with the political decision-makers of the EU. The DIHK represents the interests of millions of businesses. The commercial companies in Germany are members of their Chamber of Commerce and Industry (CCI), and all of the 79 German CCIs are members of the DIHK (Association of German Chambers of Commerce and Industry). It therefore speaks on behalf of companies of all sizes and from all sectors – from the kiosk owner on the corner to the international automotive group. For 150 years it has been committed to ensuring framework conditions which promote growth and prosperity: freedom and competition, open markets, a stable currency, good education and good infrastructure. From Flensburg to Konstanz, from Essen to Dresden – Germany's CCIs are represented throughout Germany. The CCIs organize in-company training, provide information on taxes, marketing, innovation and business law, advice on starting a business and energy efficiency and arrange contacts with banks and savings banks. Ergo: the CCIs know where companies are feeling the pinch. And through the close cooperation with the CCIs, the DIHK knows what companies are concerned about. The DIHK is coordinating the worldwide network of the German Chambers of Commerce (AHKs), Delegations and Representative Offices at 140 locations in 92 countries. The AHKs are representing the German economy abroad, promoting global business relationships through their extensive member network and are supporting companies from their host countries in entering the German market through their global service brand "DEinternational". The roots in the regions, the worldwide presence and the overview of the entire breadth of the economy – these three features make the DIHK as the competent partner of politicians. The DIHK is consulted by politicians on laws that are relevant to the economy – at official hearings, in the daily contacts between DIHK experts and the specialists at the ministries and at summit talks with secretaries of state, ministers or the German Chancellor's office. 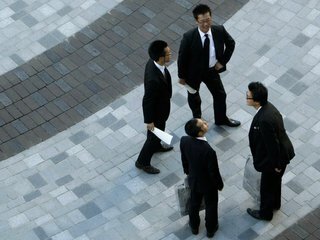 It supports politicians in one of their important tasks: the deliberative balancing of interests between sectors of industry and company sizes. Three examples: The DIHK advocates business-friendly conditions for in-company training – and ensures in conjunction with the federal government's training initiative that every year tens of thousands of young people also have the opportunity to receive training within companies. 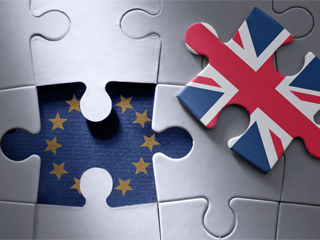 It makes proposals to cut red tape for new businesses at national and EU-level. And through the Chambers of Commerce and Industry supports more than 300,000 people starting new companies with information and advice on their business concept. It submits suggestions for a better balance between work and family life and – through the Entrepreneurship Network "Success Factor Family" launched together with the federal government – offers practical help and a fertile exchange of entrepreneurial experience to thousands of businesses. It not only demands a good deal, it also displays a high level of commitment. We are therefore not only partners for discussions, but also partners in action. The DIHK plenary session is the assembly of all the Presidents and Chief Executives of the Chambers of Commerce and Industry. As the highest body it passes resolutions, amongst other things, on important topics such as training, securing skilled employees and corporate financing, as well as electing the President of the DIHK and the members of the Executive Board. 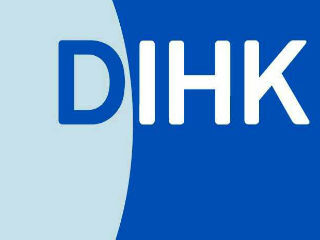 The DIHK Executive Board is responsible for preparing the plenary session and the economic policy direction of the DIHK. The DIHK President and up to 30 members of the Executive Committees of the Chambers of Commerce and Industry – all of them entrepreneurs – form the DIHK Executive Committee together. In a similar manner to a "cabinet", the DIHK President, the four DIHK Vice Presidents and the DIHK Chief Executive appointed by the plenary session represent the DIHK as its Executive Committee to the outside world. The President is responsible for representing the economic policy of the DIHK, being the representative of the entire Chamber of Commerce and Industry organisation – and therefore of the German business economy – to politicians and the public. The Chief Executive manages the ongoing business of the DIHK. The DIHK is advised by 16 technical committees, with most of the 1,200 members being entrepreneurs. There are therefore sector-related committees for manufacturing industry and research, trade, the health economy, tourism, transport, environment and energy, communications and the media, as well as cross-sectoral committees for education, small and medium-sized enterprises, finance and taxation, money and credit, foreign trade and the law. Support is provided to the DIHK committees by around 250 employees in Berlin and around 20 employees in Brussels.